Why choose Vista Vision as your premier eyecare provider? Vista Vision Premier Family Eyecare was opened by Dr. Toni Racoma to offer caring personalized eye care and unique high-quality designer glasses all in one setting. Dr. Racoma moved to San Antonio in 2012 and soon realized that every eye doctor office seemed a repeat of the next. The choices in eyeglasses, sunglasses, and how eye exams and customer service were performed seemed monotonous. Dr. Racoma was motivated to offer her elite training and skills to the people of San Antonio and introduce fresh, exciting eyewear to the market. So in 2017 Dr. Racoma took a bold step forward to open San Antonio’s premier eye care office, Vista Vision. Call us to schedule your exam or stop by to see for yourself that this is not your typical eye care office … This is Vista Vision Premier Family Eyecare, where you will find exceptional eyecare and fabulous eyewear! current specials @ vista vision! Dr. Toni Racoma is a Licensed TX Optometric Glaucoma Specialist! the best defense against glaucoma is detection! Only a comprehensive dilated eye health exam by an expert can detect glaucoma - a devastating, potentially blinding eye disease. Combat Glaucoma today and schedule your next eye exam with an expert. Dr. Toni Racoma examines infants as young as 6 months of age! Dr. Toni Racoma provides free comprehensive infant eye exams as part of the American Optometric Association InfantSee program. Schedule your baby's exam before 1 year old! Most patients accept "aging" vision and decreased field of view through their progressive lenses as "part of life." Dr. Racoma and Vista Vision have teamed up with the 2019 #1 Progressive Lens Designer, Shamir, to bring her patients digitally optimized custom progressive lenses. Using personalized digital measurements on each patient allows the most accurate lens design possible - resulting in the best quality of vision, edge to edge clarity, and most natural posture available in ANY progressive lens out there! When just having "20/20" vision isn't good enough, let the Vista Vision team design your next pair of custom digital lenses - trust us, you won't regret it! FSA and HSA accepted here! Do you have a Flexible Spending Account or Health Savings Account through your employer? 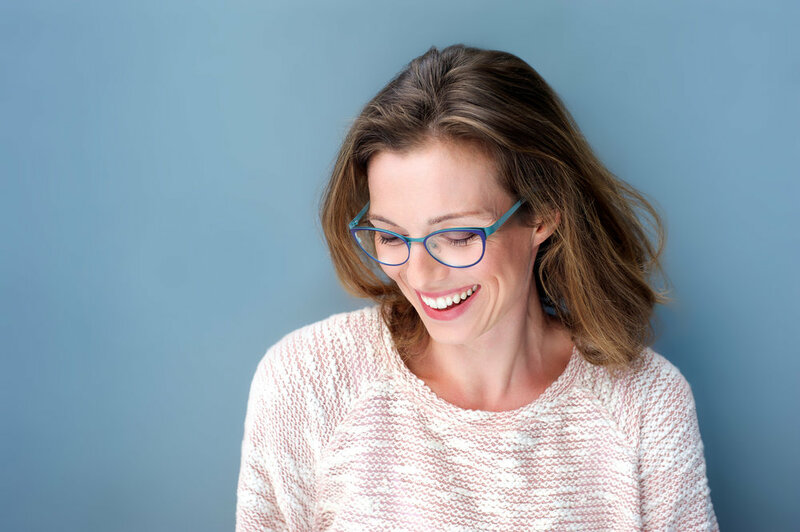 What better way to invest in your health than a full eye exam, the latest in digital prescription lenses, and the best glasses found in all of San Antonio? And if you are a contact lens wearer or don't need prescription glasses, no worries, we will find your new favorite designer sunglasses! Dr. Racoma wearing Blake Kuwahara! All new cash pay patients receive 25% off for a comprehensive dilated eye exam. Why wait for clearer vision? There's no better time to book your appointment than now! We are proud to be featured as "The Face of Eyecare and Eyewear" in San Antonio Magazine's January 2018 "Faces of SA" insert! It's been a long journey to open our doors and we are excited to spread the word about what makes us so unique in the eyecare and eyewear field! Treat yourself to the best eye exam you've ever experienced in 2018, and try on your next favorite pair of glasses while you're at it! Our glasses selection is completely unique and built to last. Stop in today - walk-ins are always welcome! Dr. Racoma wearing l.a.Eyeworks in Lipstick Latte! Dr. Toni Racoma is a Therapeutic Optometrist and Optometric Glaucoma Specialist who enjoys examining and caring for patients of all ages. She is especially passionate about prevention, early detection, and timely and effective treatment of ocular diseases, including dry eye disease, diabetes, glaucoma, cataracts, and macular degeneration. Dr. Racoma believes that each patient is a unique individual, and she loves taking time to get to know each of her patients, developing personalized treatment plans for each encounter. Patients truly feel cared for as if they were part of her family! Dr. Racoma is also a firm believer in ensuring her patients have the best vision possible every day. 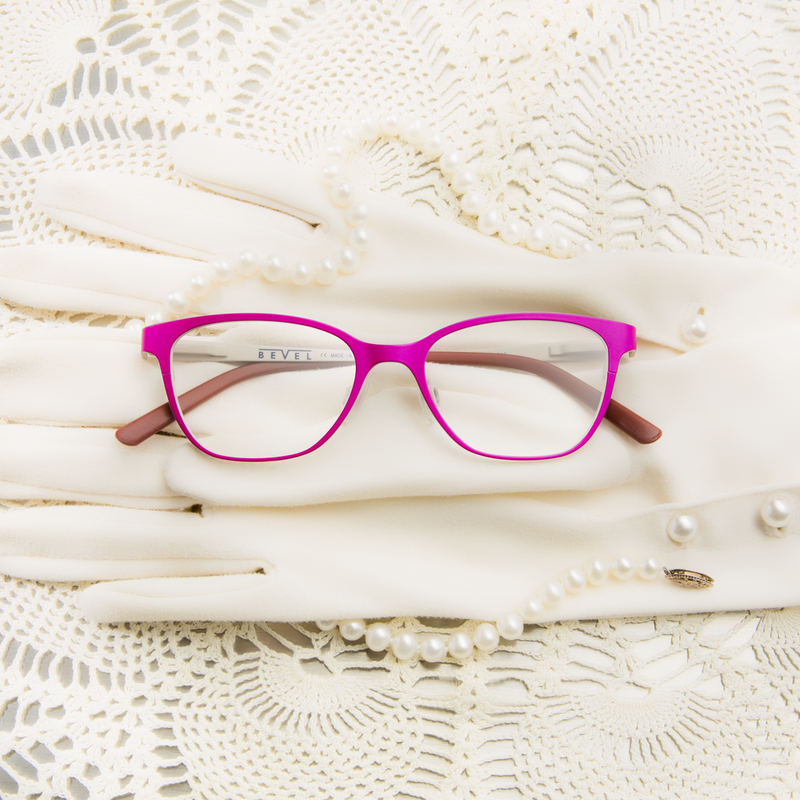 She and her highly trained optician combine the newest lens technologies with the finest eyewear made by Optical Designers, not just designer labels. 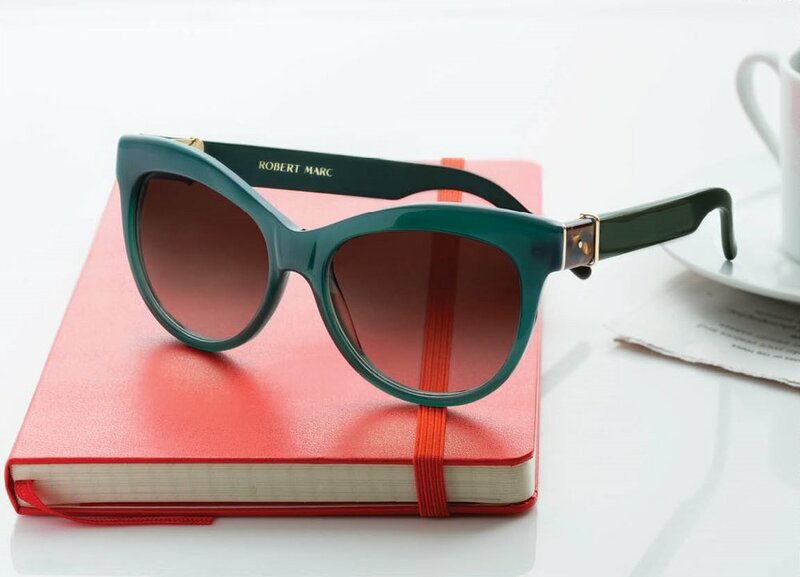 She takes pride in bringing a whole new world of eyewear and sunwear to our beautiful city. Years of training prepared Dr. Racoma to open her dream practice. Dr. Racoma studied Biomedical Engineering at Johns Hopkins University where she graduated at the top of her class in 2003. She attended the Nation's leading optometry school, the Pennsylvania College of Optometry, where she graduated as Valedictorian in 2007. She completed a residency at The Eye Institute in Philadelphia, PA in 2008. Prior to moving to Texas Dr. Racoma was an associate in a northern Virginia optometry practice. There she especially enjoyed caring for patients in a private setting and thus her dream of practice ownership was born. Dr. Racoma moved to San Antonio in 2012 to teach Optometry to future generations of eye doctors at the University of the Incarnate Word Rosenberg School of Optometry. As an Assistant Professor at UIW, Dr. Racoma was the Lead Instructor of Ocular Anatomy and Lead Instructor of Ophthalmic Optics. She also taught in the Advanced Optometry and Clinical Optometry Laboratories. As the faculty representative for the RSO chapter of the Student Volunteer Optometric Services to Humanity (SVOSH), Dr. Racoma participated and oversaw students in vision and health screenings throughout the city. Dr. Racoma is a member of the Bexar County District Optometric Society, the Texas Optometric Association, and the American Optometric Association. She resides in San Antonio with her husband and two sons, and they enjoy spending time outdoors and exploring state parks together. Dr. Racoma and her family belong to Fellowship Bible Church, and she is an active member of the South Texas La Leche League. Ashley is the newest member of the Vista Vision team and is our Patient Care Coordinator and Apprentice Optician. She is also our Insurance expert and is the behind-the-scenes force ensuring that all goes smoothly before your appointment. 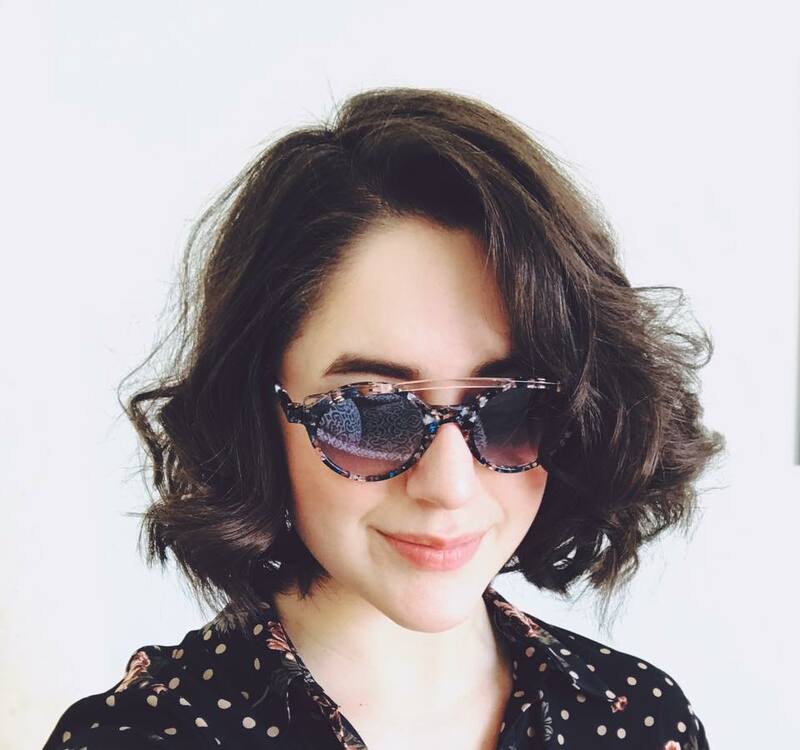 Her interest in the eye care field stems from her own need for glasses and love of fashion-forward styles! Pooja wearing handmade Res/Rei Italian frames! Pooja will be rejoining us this summer after having completed her first year in optometry school at the University of the Incarnate Word Rosenberg School of Optometry. Pooja is passionate about frame-styling and finding that perfect pair (or two!) that exists for every patient. With her style and our fun collection the possibilities are endless! Pooja became interested in the field of Optometry from an early age as she watched her grandparents lose vision from glaucoma and diabetic retinopathy. She became passionate about the importance of early diagnosis and intervention of these and other ocular diseases, and she encourages our patients to improve their ocular and overall health. Pooja has been in San Antonio for some time now as she graduated from the University of Texas at San Antonio with a Bachelor of Science in Biology and a Minor in Business Administration. In her free time Pooja enjoys exploring San Antonio trails, trying the local taco trucks, and of course – FIESTA! Vista Vision Premier Family Eyecare is dedicated to providing patients with the best comprehensive eye care, all within an inviting, friendly practice setting. Our highly trained doctors and staff utilize the latest state-of-the-art examination technology to accurately diagnose and treat each individual patient. Dr. Racoma will do a thorough eye exam utilizing the latest eye care technology to check your vision and eye health. She will answer all of your questions and provide you with your newest spectacle prescription to order glasses. Please remember your sunglasses as your eyes will be dilated to ensure the fullest view of the inside of your eyes! A mother herself, Dr. Toni Racoma has a natural way with children allowing for an effortless eye exam - no tears involved! In need of prescription glasses? Our optician will find the perfect pair for your child. Dr. Racoma provides free comprehensive eye exams to infants between the ages of 6 months to 12 months as part of the American Optometric Association's InfantSee program. This program allows for the earliest detection of infant eye tumors, lazy eye, and high prescriptions not otherwise detectable at your pediatrician's office. 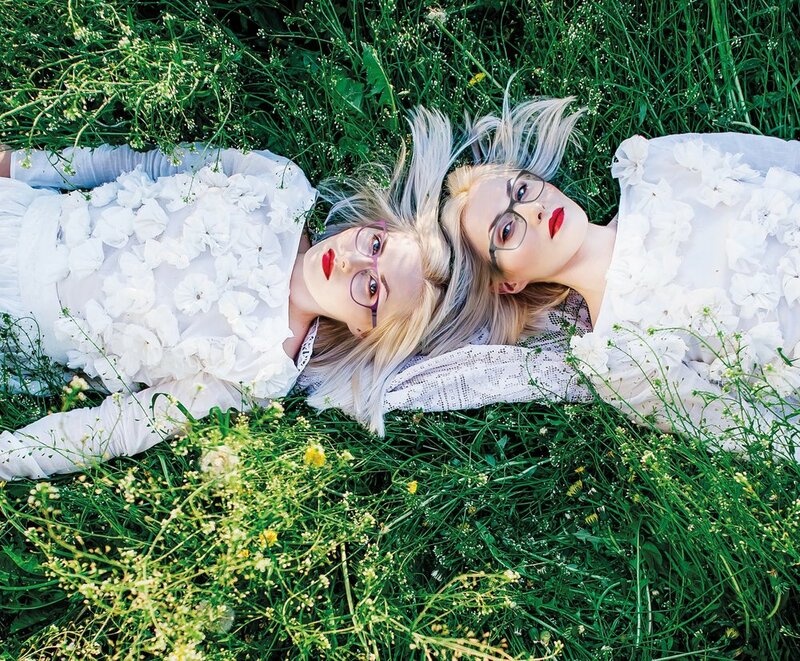 Vista Vision is proud to bring exclusive eyeglass designers to San Antonio. We personally frame-style our patients to find the best fit glasses, framing your greatest work of art, your face. Our digitally designed lenses allow wider and clearer fields of view granting our patients a true “Wow!” factor never experienced before! Dr. Racoma fits regular and specialty contact lenses to change how you see the world. Don’t think you are a candidate for contact lenses? Dr. Racoma fits difficult prescriptions and special eyes, so be sure to ask at your next appointment if contact lenses are right for you! Sudden loss of vision, flashes of light, floaters, red eyes, painful eyes, corneal abrasions, foreign bodies, and eye injuries are just a few of the many eye emergencies that Dr. Racoma can treat. Never hesitate to call our office – Dr. Racoma will return emergency calls and she provides after-hours care to her patients. Dr. Racoma and her staff are skilled and equipped for the treatment of many medical eye conditions. Dr. Racoma recommends at least an annual dilated eye exam for all of her diabetic patients. Vista Vision's advanced technology allows for the earliest detection of diabetes complications. Vista Vision has the latest technology for the early detection and care of glaucoma. We can prevent devastating vision loss before it happens! Early detection, nutraceutical therapy, proper follow-up, and prompt surgical intervention are all ways to improve visual outcomes for Dr. Racoma’s macular degeneration patients. Dr. Racoma incorporates advanced testing to diagnose lid and dry eye disease at its earliest stage to improve treatment outcomes. She prescribes the latest therapies including Restasis, Xiidra, and other anti-inflammatories. Love your eyes again with “We Love Eyes” natural & non-toxic cleansing products (created with love by a fellow optometrist!). Wondering if laser vision correction is right for you? Dr. Racoma will evaluate your eyes and determine if you are a good candidate for laser correction. She will help you find the best surgeon for your needs and will help provide the pre and post-op care right in her office. If Dr. Racoma determines that you have a cataract that requires surgical removal she will refer you to the best surgeon for your needs and will help provide the pre and post-op care right in her office. Dr. Racoma knows that state-of-the-art diagnostic equipment is essential in caring for her patients, so she invests in the latest technology at Vista Vision. Vista Vision uses one of the latest electronic health record systems to transform the way your care is delivered. Our secure EHR ensures that your health information is available whenever and wherever it is needed. Plus, with our secure Patient Portal you can access your eye care records, including your most recent prescriptions, from the comfort of your home. “Which is better 1 or 2? 3 or 4?” Anyone who has been to the eye doctor knows the routine. But at Vista Vision Dr. Racoma uses the latest refraction technology to digitally refract her patients. Using an automated phoropter, Dr. Racoma provides greater accuracy for your prescription. With the touch of a button she will allow you to compare the new refraction directly to your previous glasses. Ultimately the digital phoropter makes the process of “which is better?” less stressful on you. Dr. Racoma can check the pressure in your eye without drops or the puff of air. That’s right, NO PUFF! This advanced device allows Dr. Racoma to measure each cellular layer in the major structures inside of your eye, including the retina and optic nerve head. These cross section scans help us detect and monitor diseases in ways not possible with traditional eye exams. Dr. Racoma can take a wide angle picture of your retina (the back of your eye), which allows us to detect and follow diseases such as glaucoma, diabetes, macular degeneration, and ocular melanoma. We can directly compare images from year to year. At Vista Vision we can accurately and efficiently measure your central and peripheral (“side”) vision. This is an important test for many eye conditions, most notably glaucoma, by detecting lost “side vision” before it is even recognizable by patients. Can your glasses hold up to 90lbs without breaking??? We are conveniently located in the Sonterra Village shopping center (with Trader Joe's) off of 1604 North between Stone Oak Parkway and Blanco Road. Stop in today to say hi! We would love to hear from you! Please leave us a message and we will get back to you as soon as possible. If your need is urgent, please give us a call or just come on in. Click here to access our secure portal where you can schedule a new appointment, update your contact information, and access your records and prescriptions. Click here to complete new patient entrance forms and save time at your next visit!